MUNICH -- Daimler reported weaker profit from its Mercedes-Benz Cars unit in the second quarter because of the cost of refreshing its lineup and one-time charges related to recalling cars with faulty Takata airbags. The profit margin at the Mercedes-Benz Cars division, which includes the Smart brand, dropped to 6.4 percent, compared with 10.5 percent last year, the automaker said today in a statement. Adjusted for special items, the return on sales was 10 percent compared with 10.6 percent a year earlier. "It's good to see the adjusted return on sales in the cars division back in the double-digits with the E class launching," said Sascha Gommel, a Frankfurt-based analyst at Commerzbank. "It's a strong result across the board." Mercedes is expanding and rejuvenating its lineup with the aim of reclaiming the position of world's biggest premium carmaker from BMW Group, adding all-new models such as the GLC SUV. The carmaker said growth will speed up in the second half as customers buy a new version of the E-class sedan, a more profitable vehicle than the manufacturer's smaller models. Group adjusted earnings before interest and taxes rose 5.6 percent to 3.97 billion euros ($4.38 billion), driven by gains in the vans and bus units, Daimler said. Revenue rose 2.9 percent to 38.6 billion euros. Adjusted EBIT at the Mercedes Cars unit fell 1.1 percent to 2.21 billion euros. 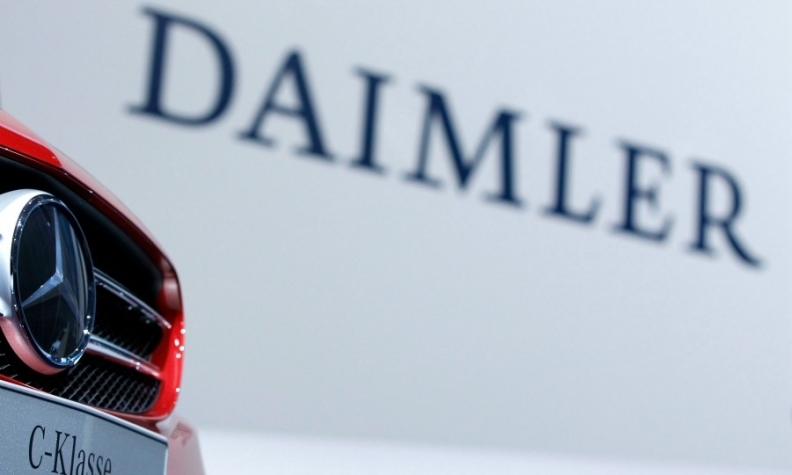 Daimler said profit exceeded market expectations in a preliminary earnings statement. The company stuck with a forecast of slightly higher adjusted earnings before interest and taxes for Mercedes this year.